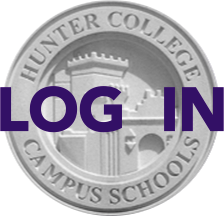 Parents are welcome and encouraged to attend the Hunter Life Committee meetings, which take place one Friday per month between 11:18 a.m. and 12:34 p.m. The Hunter Life Committee is the only committee at Hunter made up of students, parents, faculty, and administration, and the group is dedicated to improving all aspects of the Hunter community. In the past, the HLC designed a program to help younger students fight feelings of "imposter syndrome," and was also involved in establishing the all-gender bathroom on the ground floor. This year the committee is working on making free pads and tampons more accessible, and on increasing awareness of and respect for all of the staff in the building, especially the security guards, custodial staff, and cafeteria workers. Although the work of the HLC is student directed, the involvement and perspective of parents is vital, and it's a unique window into the Hunter community. The next meeting takes place on Friday, November 17 in Room 208. We'd love to see you there.